Air New Zealand has launched a new air safety video, featuring Golden Girls star Betty White and Love Boat star Gavin MacLeod and a cast of golden oldies in Safety Old School Style. The video, set at the fictional Second Wind Retirement Resort in the USA, focuses on living life to the fullest in true Air New Zealand style. To celebrate the launch of Safety Old School Style Air New Zealand is giving online viewers the chance to win the trip of a lifetime to either Palm Springs, California or Queenstown in New Zealand’s South Island, including a raft of activities. To enter, viewers need to share their story of how they are living life to the full at www.airnewzealand.com/safetyoldschool. Air New Zealand Head of Global Brand Development Jodi Williams says Air New Zealand’s brand is all about liberating from the ordinary. “As a small airline at the bottom of the world, we have to think outside the square when it comes to driving brand awareness and conveying important safety messages to our millions of customers. Partnering with influencers like Betty has proven an effective way of doing this,” says Ms Williams. Betty White says she had been exploring opportunities to work with Air New Zealand for some time. “Air New Zealand has a global reputation for creating unique in-flight safety videos. When the opportunity came up to be involved in this project, I couldn’t say no. We had a lot of fun on set and I think we’ve shown that it doesn’t matter what age you are, it’s important to live life to the full,” says Betty. 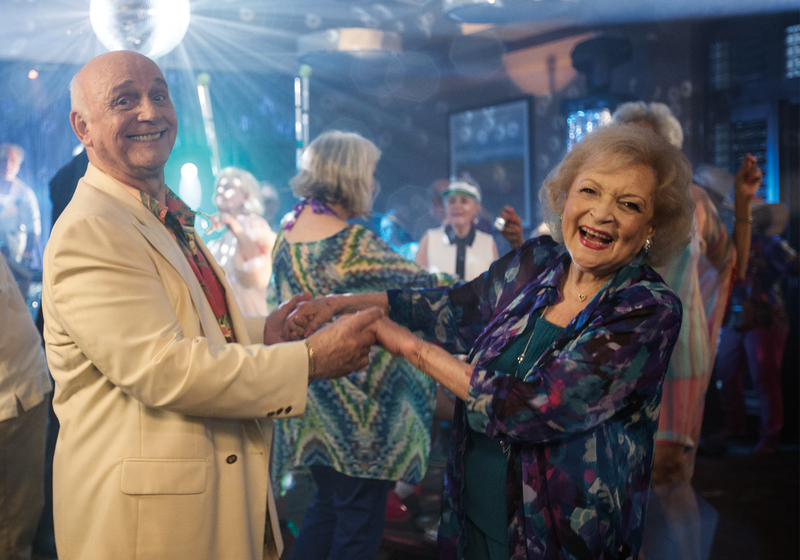 The Air New Zealand Betty White campaign was developed at True by creative director Craig Pethybridge, account director Matt Dickinson and producer Fiona Champtaloup. Filming was shot by director Josh Frizzell via 8Com with producer Jozsef Fityus. The Australian Public Relations campaign will be delivered by Hill+Knowlton Strategies and media undertaken by Phd.